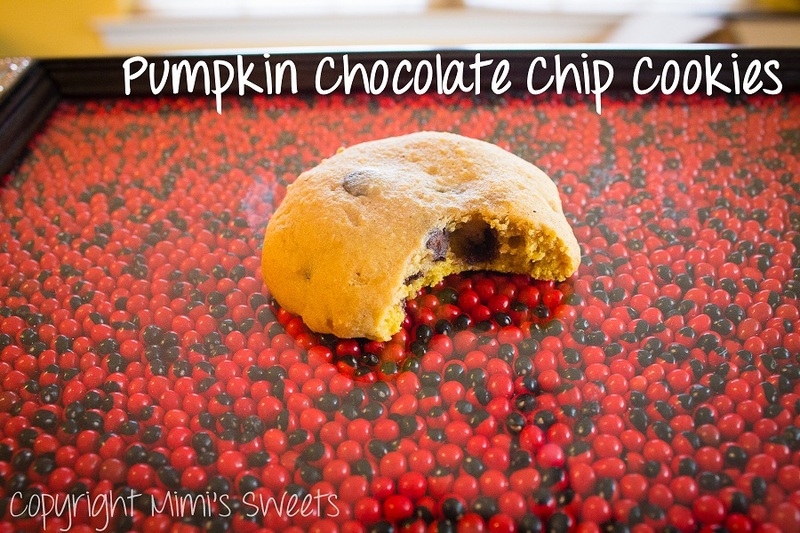 In celebration of the fall season, I decided to make one of my husband and brother's favorites-- these Pumpkin Chocolate Chip Cookies. It's a variation to my regular Pumpkin Cookies that I usually top with cream cheese icing. The whim to bake them came at about midnight, and since it was an oldie but a goodie, I whipped up the batter on the spot, popped it into the refrigerator, and baked them when I got up the next morning. These cookies are really fluffy and soft-- a lot softer than they look. They have just the right amount of pumpkin flavor and spices: not overpowering the chocolate, and just enough to make you think of fall and Thanksgiving. When taking pictures of these, I wanted to use something a little different. Then I remembered the Peruvian serving tray that my good college friend, Ale, gave to me and my husband as a wedding gift. It was the perfect size and had a great color for this. 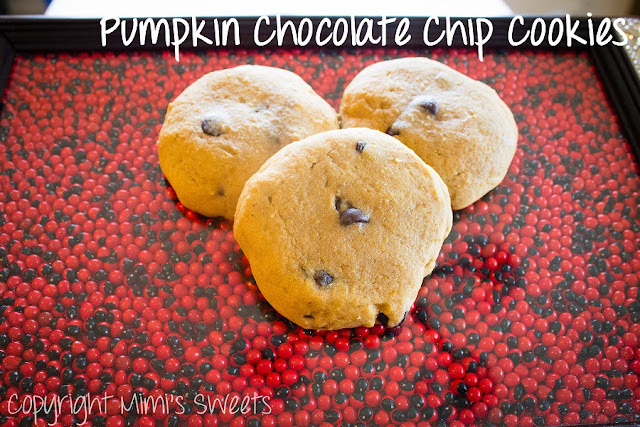 If you like these, then you will also like my Pumpkin Cream Cheese Muffins.